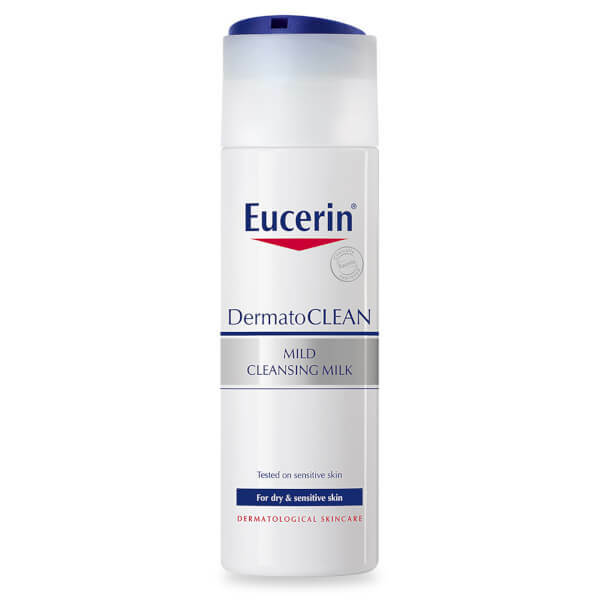 Eucerin® DermatoCLEAN Mild Cleansing Milk removes make-up, dirt and excess oil, without stripping moisture. 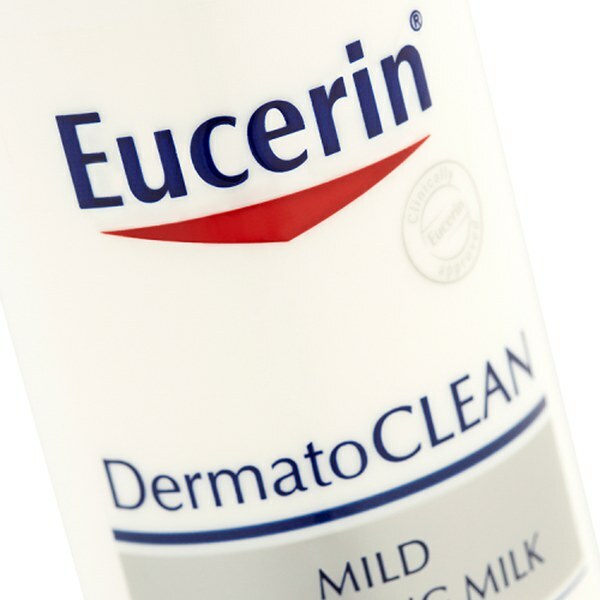 Its mild, yet powerful formula uses APG Complex to dissolve impurities, whilst hyaluronic acid works effectively to deeply hydrate skin and leave it purified, soft and supple. Nature-derived gluco-glycerol boosts moisture levels, making the creamy lotion suitable for soothing dry and sensitive skin and delivering long-lasting comfort. E.N. Fragrance, alcohol, colourant and paraben free. Apply each morning and evening with cotton wool. Remove residue. Aqua, Glycerin, Isopropyl Palmitate, Cetearyl Alcohol, Caprylic/Capric Triglyceride, Octyldodecanol, C12-15 Alkyl Benzoate, Glyceryl Glucoside, Cetearyl Isononanoate, Sodium Hyaluronate, Decyl Glucoside, Sodium Citrate, Citric Acid, Glyceryl Stearate SE, Carbomer, Trisodium EDTA, Sodium Cetearyl Sulfate, 1,2 Hexanediol, Phenoxyethanol, Piroctone Olamine, Potassium Sorbate.